After a whirlwind six-year run, Nissan ceased production of the 350Z last year, replacing the now iconic sports car with an even more potent successor, the 370Z. Equipped with a larger 3.7-liter engine and a smaller frame, the 370Z Coupe improved upon an already swoon-worthy combination of good looks, reasonable pricing and stellar performance. As was the case with the 350, Nissan opted to bring a roadster to the table again, and we wondered whether the improved performance could translate despite the fact that its top had been quite ceremoniously chopped off. We needn’t have been concerned. What makes all the difference is that Nissan planned from the start to incorporate a convertible into the lineup, so when they designed and engineered the platform and body structure, they were already making decisions to accommodate for a drop-top. Well, we can’t find a whiff of compromise in the gloriously fun (and remarkably economical) 370Z Roadster, and new tech options like the brilliant SynchroRev Match manual transmission are sure to keep the competition on its toes. Our only concern is whether you’ll be able to find one on a dealer lot. 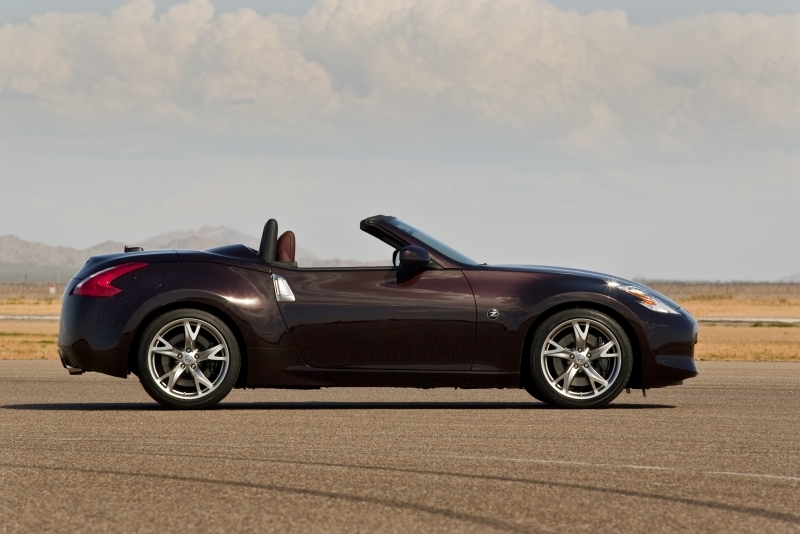 Unlike the previous Roadster’s top, the 370Z’s is fully automatic. The interior roof lining has also been spruced up to give the interior some extra finesse. SynchroRev Match, the first downshift-matching manual transmission, is brilliant and worth the tick of an option box. Because the top folds away in its own compartment, rear trunk room is surprisingly spacious for a convertible. 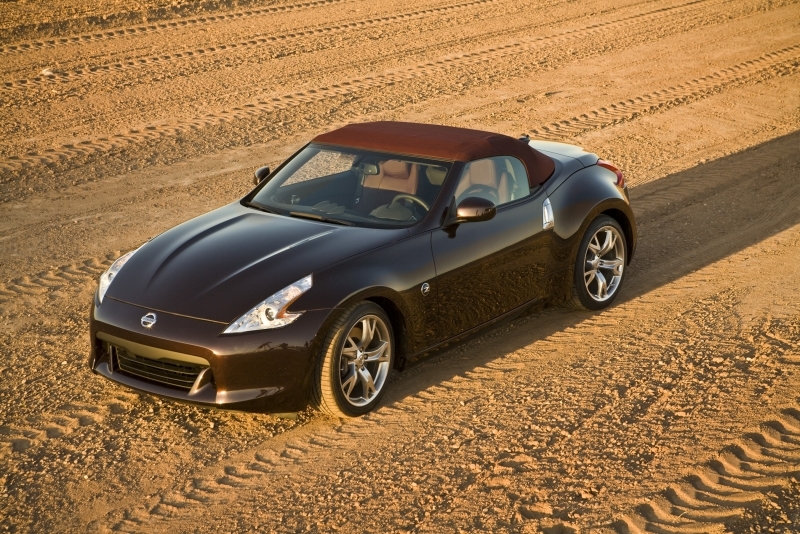 Bluetooth isn’t an option on the base Z, a move that seems out of touch for usually ahead-of-the-curve Nissan. Without the navigation system, you’re left with a familiar storage compartment on the instrument panel, and while it’s more elegantly covered this time around, we’ve yet to figure out which personal effects would adequately fill the space. The smaller, lighter Roadster feels more balanced on the road than its predecessor, partly due to increased rigidity and structural improvements. We’ve been told there’s 45% improvement in rear body torsion and 60% increased rear lateral stiffness over the last generation Roadster, numbers that are easily apparent on back roads. Around curves the Z grips more tightly, and body roll is so non-existent you’ll wonder why they’ve designed such supportive high-backed sport seats. Damping is also fantastic, keeping cowl shake under control, and even with 19-inch wheels the road noise isn’t overly intrusive. You’d nearly forget you were even in a convertible if it weren’t for the wind whipping around the crown of your head – the windshield doesn’t completely protect taller drivers. The 370Z hits its sweet spot between 4,500 and 6,000 rpm, so drop a gear or two – and listen to the rumble of a perfectly synchronized downshift – while flattening the throttle. It’s sure to put a smile on your face. And when it’s time to come to a halt, 14-inch front disc brakes will stop you in a heartbeat. The Roadster is motivated by the same 3.7-liter V-6 DOHC engine found in the Coupe. It puts down 332 horsepower and 270 lb-ft of torque through the rear wheels, and is mated to a six-speed manual transmission with optional SynchroRev Match on the Touring trim. If shifting yourself is too much, a seven-speed auto with paddle shifters ($1300) is available for the taking. Buyers can opt for various luxuries such as a Bose system with XM satellite radio and a navigation system that includes conveniences such as real-time traffic, weather forecasts and Bluetooth and USB connectivity. However, even on the base model you’ll find a standard wind deflector, auxiliary input jack and push-button start. The 370Z is laden with the latest in technology, but it all remains in the background, serving to enhance the driving experience rather than overwhelm the driver. SynchroRev Match – available with the sport package on the Touring trim – is the pinnacle of said advancements. Sensors in the shift gates tell the engine to blip the throttle and match the revs to the newly selected gear, ensuring silky smooth shifts and actually reducing fuel consumption. 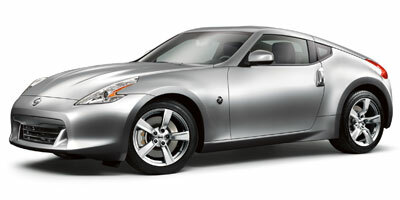 Speaking of which, the 370Z Roadster is hardly a guzzler with 18 mpg city and 25 mpg highway. Overall weight reductions and efficient transmission options keep the numbers high. We’d expect it to carry the same ULEV emissions rating as the Coupe. Even fans of the 350Z will confess that the interior seemed a wee bit cheap, a problem that Nissan has easily sorted with soft, supple materials and a modern, driver-centered instrument panel. Well-bolstered ventilated seats – standard on the Touring trim – are cooled and heated through a fan system separate from the HVAC. Some say the Z’s front end looks eerily like a catfish, we happen to think the exterior modifications greatly improve an already good-looking car. Unlike many convertibles which don’t look right with the top up, the Z’s cloth top seems to mesh well with the sheet metal body. 18-inch shoes come standard, but can be bumped to 19s with a tick of an option box. Leave it to Nissan to create another niche car, one whose price point and quality mean it has very few direct competitors. The 370Z Roadster starts at $36,970, but rises to $40,520 for the Touring trim, leaving the $56,700 Porsche Boxster S, $48,900 Audi TTS, $51,650 BMW Z4 sDrive35i and $53,220 Chevrolet Corvette looking underpowered or overpriced. 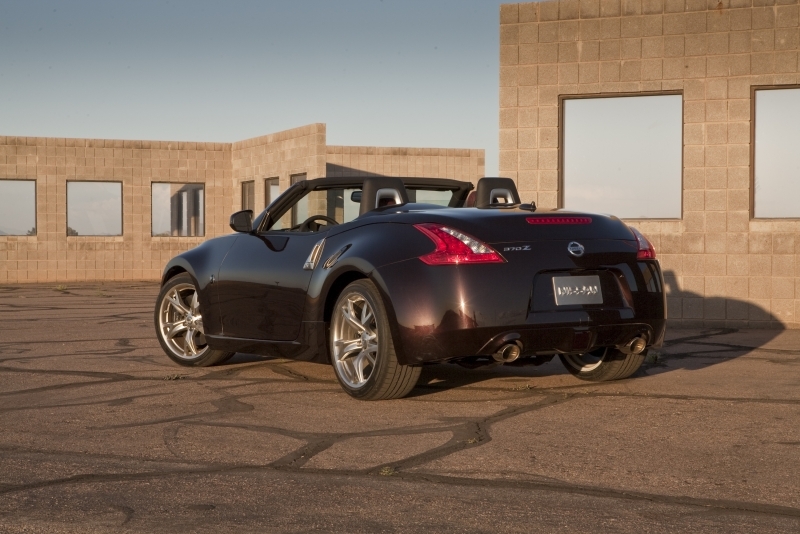 Manufacturers are getting much better at bringing the performance level of convertibles up to those of their coupe counterparts, and Nissan has done an outstanding job of keeping the right tone with the 370Z Roadster. It couples technology with the raw performance that Z enthusiasts get gaga about, and the SynchroRev Match really is as cool as it sounds. For the price, you’re not going to find a more inclusive convertible on the market.